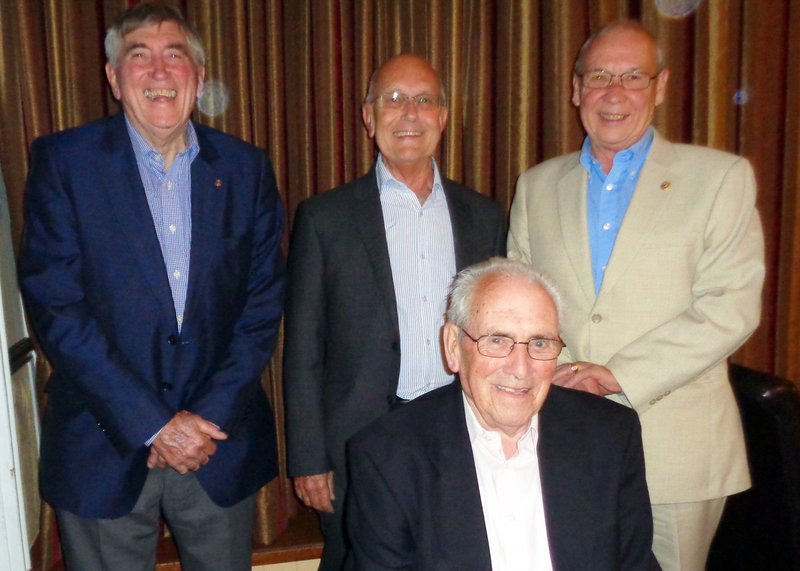 Hornsea and East Riding Rotary Club welcomed a former Hornsea resident, John Pepper, now living in Scone, Scotland. John retired early to give of his time assisting the poorest in Cameroon, Africa. Working with Afri-Link, a grass roots charity the aim is to help people to help themselves. In particular the orphans, the elderly, and those who suffer with mental health problems, seen as pariahs in their society. The main topic though was about bio converters. Constructed locally pig effluent is converted to household gas and high quality fertilisers. John illustrated how the people constructed these enthusiastically (although with little concern for health and safety). A single converter can provide gas for six households. One effect of this is to reduce the deforestation that takes place in providing fuel for cooking. Another is to ease the misery of eye and chest infections that regularly occur in the dense smoke of cooking and heating. The average life expectancy is 35 years. Last night of the Proims was held at the Floral Hall in Hornsea and it was a resounding success. All printed tickets were sold out before the doors were opened. Humberside Police Concert Band plays a vast repertoire of music selections from the stage and screen, and Last Night of the Proms finale under the baton of Music director Brent Read. Police Officer Soprano, Janet Bates sang "I Dreamed a Dream"and the "Rule Britannia" with music director Brent Read. Hornsea Floral Hall was packed with revellers on the night and everyone had a wonderful time! 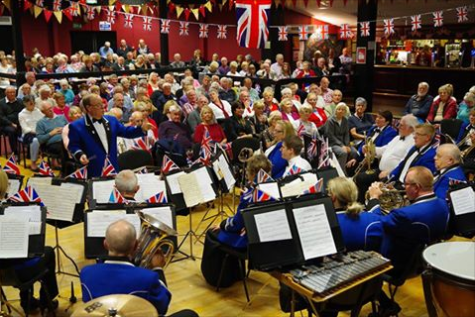 The proceeds of Last Night of the Proms went to - £350 be donated to the Air Cadets, £500 donated to the Maisie Appeal and £500 will be donated to the Humberside Police Concert Band. 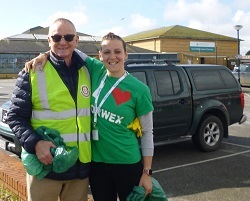 'The Great British Beach Clean organised annually by the Marine Conversation Society took place this Sunday the 17th September. 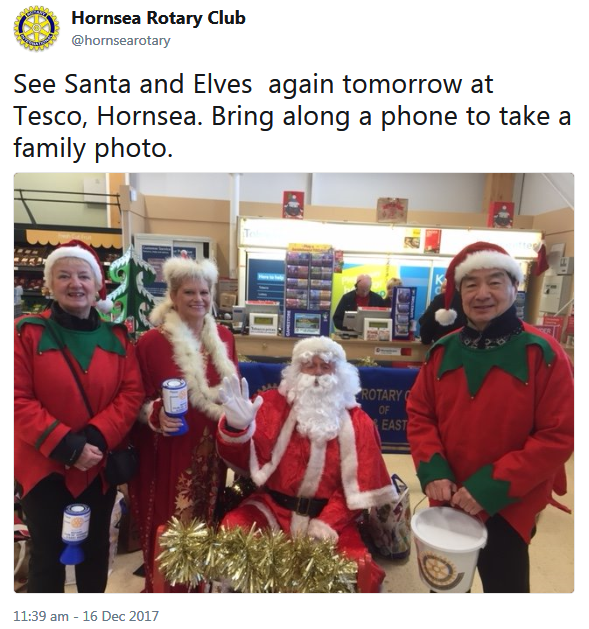 A number of groups from Hornsea joined in this annual event including members of the Rotary Club of Hornsea and East Riding who met at 10.30 am on the front at the junction with New Road. The group's intention was to litter pick between New Road and the Floral Hall and bumper sized plastic bags, in which members could place their litter were provided. 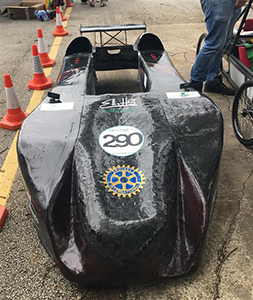 The Rotary Club sponsored 'Morpheus', a Formula 24 car entered by Hornsea School in a Le Mans style competition organised by Greenpower Education Trust, a charity promoting sustainable engineering to young people. Greenpower provided the basic kit with the students building the car, assisted by teaching staff and parents. The main idea was for the team to build and race their own electric powered race car. The event held at the KCom Stadium on Sunday the 16th July was a huge success. The race team of eighteen students were outstanding, winning over the crowds and the Greenpower organisers, receiving the prestigious "Spirit of Greenpower" award. President Maung and Past President Neil McDonald helped with the scrutineering and Past President Graham McDonald, a governor at Hornsea School, supported the school team. A great day was had by all. 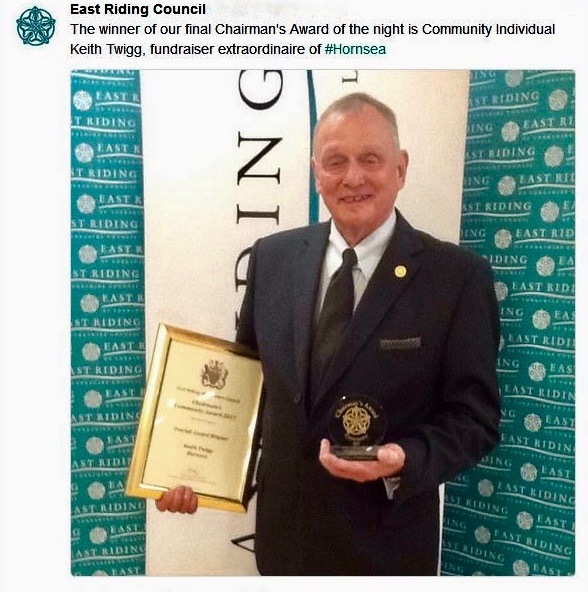 The Grand charity concert due to be held on Friday 23rd June at the Floral Hall was cancelled due to various unforeseeable reasons.The Rotary club had apologised unreservably to all parties concerned. 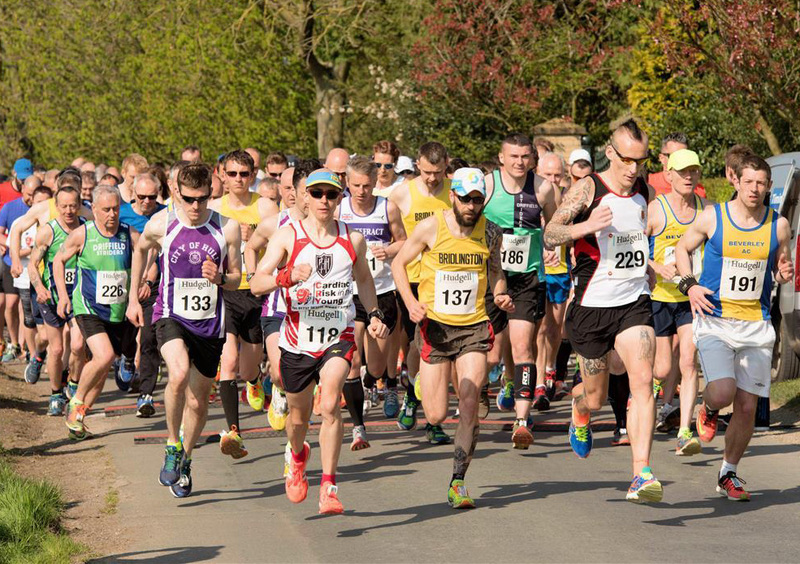 9 April saw the 10th annual one third Hornsea Marathon. Almost 500 runners took part in this event. The main beneficiary of the run is Marie Curie. The temperature soared to 22C with humidity of 47% in Great Hatfield and 3 runners were overcome with the heat. This is still proved to be one of the most popular shorter runs in the north of England. The top prizes of the day went to Richard Buckle of Hornsea School team and Sara Rookyard, a non-afilliated runner for first places in male and female, respectively. First place in the Over 70 vet male went to Vic Shirley, and Pam Atkins of Beverley AC for the Over 70 female. 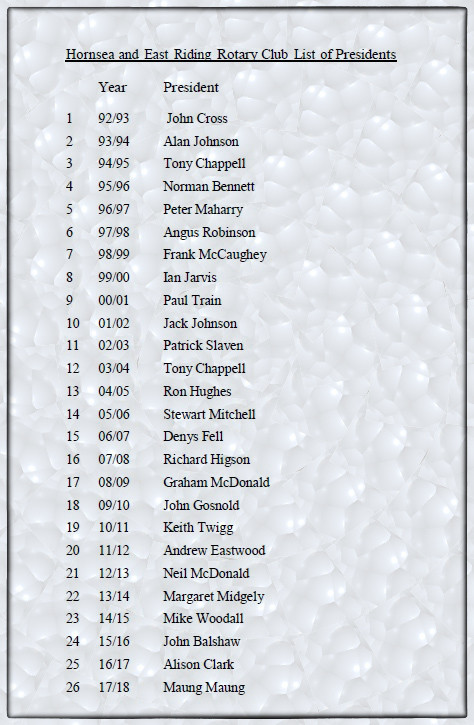 An exceptional prize for over 80 goes to Robert Thomson of Haltemprice RRC. 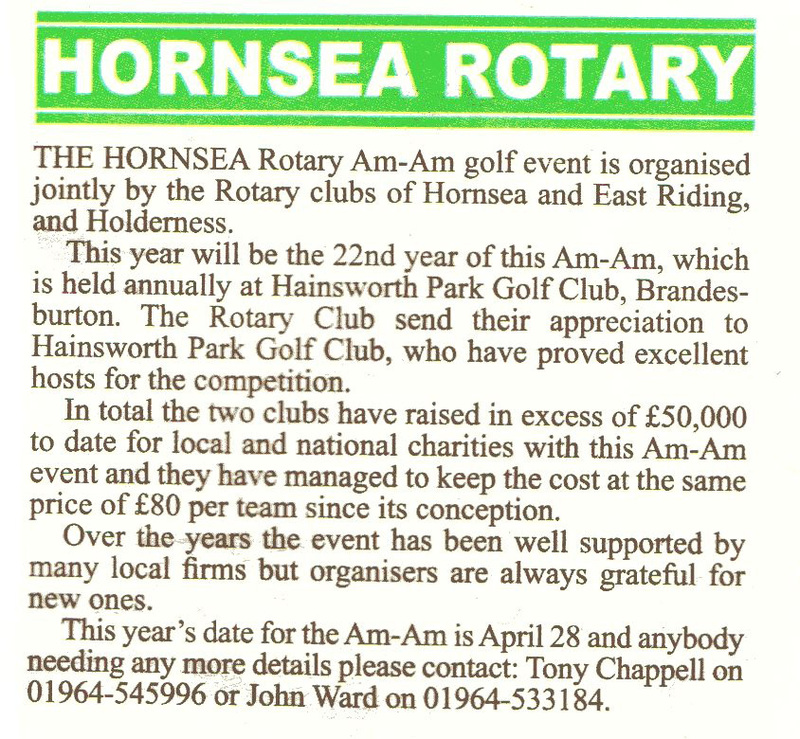 Hornsea Rotary helped with the School Fun Run on Sunday 23 April. Glorius Fun Run Day at the Hornsea School and Language College, where the weather was sunny and warm. 5 Km fun run had raised funds for an upcoming trip on sanitation project to rural Cambodia for the sixth form students. 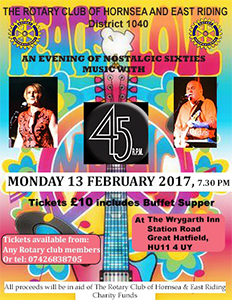 On 13 February, a charity concert evening was held at the ‘Wrygarth Inn’ A very nostalgic trip back to the sixties with the band ‘45RPM’(John Arblaster and Bev). Also, many thanks to Ray and Sandra for their generosity in providing the wonderful food which was enjoyed by all. 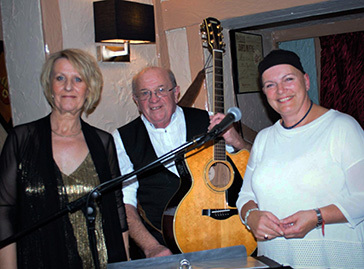 The evening raised £770 for charity. 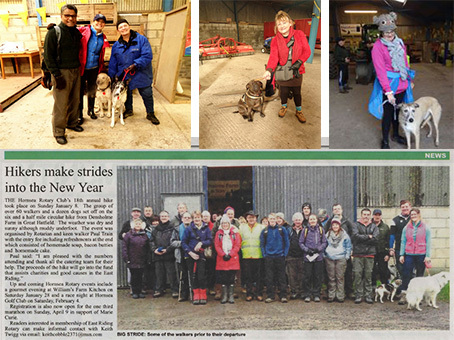 Once again the Annual Hornsea and East Riding New Year Hike had a great time. Out of 63, there were 55 people walked the 6 and a bit miles. A better turnout than last year and more of dogs with their owners. Everybody enjoyed a hearty late breakfast of soup and bacon butties, and also with hot tea and coffee. 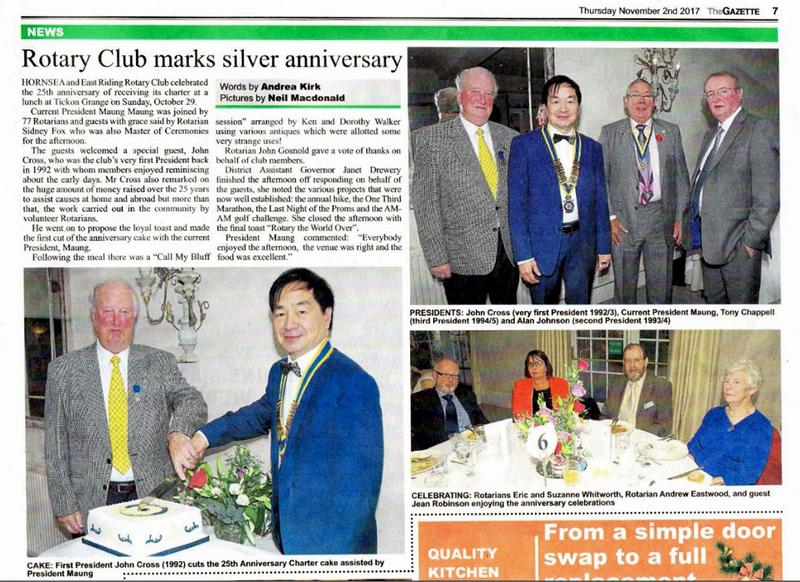 Due to their efforts and the help of the catering team the Club raised a net total of £300 which will improve the general Rotary account to help local charities. A massive thank you to all concerned.